Click the heart to make this a favorite. Create an account or sign in with Facebook or Google to save all your favorite properties and previous searches. 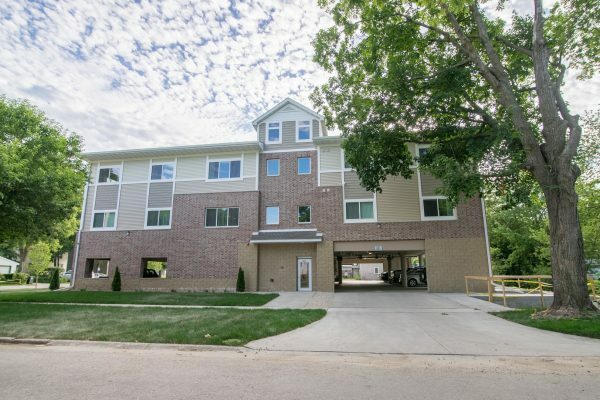 This recently remodeled complex is perfect for anyone looking to live close to Downtown Cedar Falls. Featuring brand new flooring, windows, cabinets, and appliance, you won’t find a better rental in the Cedar Valley! Only a few steps away, you will find local shopping, dining, night life and the Cedar Prairie bike trail. This property at 824 Main Street in Cedar Falls will go FAST, so contact us today for a showing! Locally owned, locally managed company with own maintenance team. Pets may be permitted (by breed and with Landlord approval) for an additional monthly fee of up to $100/pet. Showings are scheduled by Appointment Only Monday-Friday between 9:00 am – 5:00 pm. Saturday Appointments are also available between 9:00 am – 12:00 pm. Our staff is happy to help in any way we can! Want to save properties to view later? Create an account and start favoriting properties. Willow Falls Condos - 2 Bed / 2 Bath - $1,270/month - Available Now!